Has anyone rebuilt a fan by making and fitting new blades? If so, I am requesting a bit of information on the ‘tricks-of-the-trade’. Namely, what size are the rivets; what is the proper way to swage them; what is the recommended blade thickness and grade of aluminium? Also, I have a 16.5" dia fan (standard for the 2.5/3.5 is 15") which I think probably suits the 7/8/9 series but it seems it could fit behind a 3.5 radiator. Has anyone tried such an upgrade? Any advice and stories of glee or woe appreciated. I presently have a upgraded XK140 fan blade on my Mk V. I purchased it from UK’s Unlimited I believe. I think any of the later fans will fit if you re-drill two of the holes to match the Mk V water pump hub. I also came across this photo with what appears to be the fan from a viscous type hub, or indeed the entire viscous fan assembly, likely from a XJ6 fitted. I would appreciate a photo when you can get to it. I’m looking at upgrade options but I am conflicted because I also like to maintain the appearance of originality. Another cause for overheating is excess wear on the pump impeller vanes. This reduces the volume that can be pumped mainly because of the increasing gap to the back plate. Lasering gets you a flat blade but they are easy to run though rollers fr the curvature. The fan is only of much good when idling or driving slowly. Once the car is traveling at faster than the air the fan can draw through the radiator it’s all a bit academic We have pretty warm weather here and i’ve never had the MK IV overheat. Thanks Ed, I’ll give it a try sometime in the future with a spare. The original blades were 1/16" (16 gauge?) thick. The nearest today is 1.5mm, which is a bit thinner. Would you recommend going up to 2mm? It is more about mechanical strength to reduce the risk of bending when turned by hand. I have had increasing temperature problems gradually over the past few years and I need to tackle the solution for good. A colleague has a 1.5 with a new rad core and it boils at idle after 15 minutes. We haven’t road tested it yet but hope to put it through road trials soon, after its registration is completed. 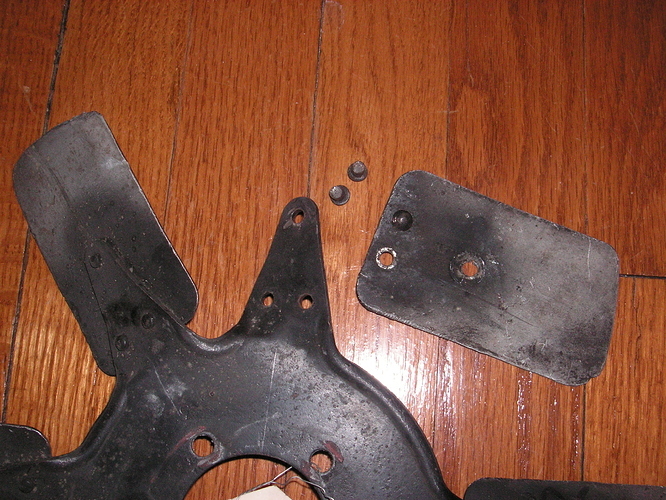 I needed to replace a couple of rivets and had to buy a box but they were only a few of dollars, sadly could not find them today to confirm the size, but they were inch sized, not metric, and readily available here from mcmaster.com Maybe they’ll turn up tomorrow. I would go with .063" AL sheet in the 6061-T6 alloy, strong and workable, also readily available here from onlinemetals.com and metalsdepot.com and others. The Mark V fan is 14" and the XK120 is 13-1/8" but has the same center spider. The Mark VII 6-blade fan is also 14" with the same staggered spacing but the arms of the spider are bent at a greater angle so would probably give a bit more air flow. 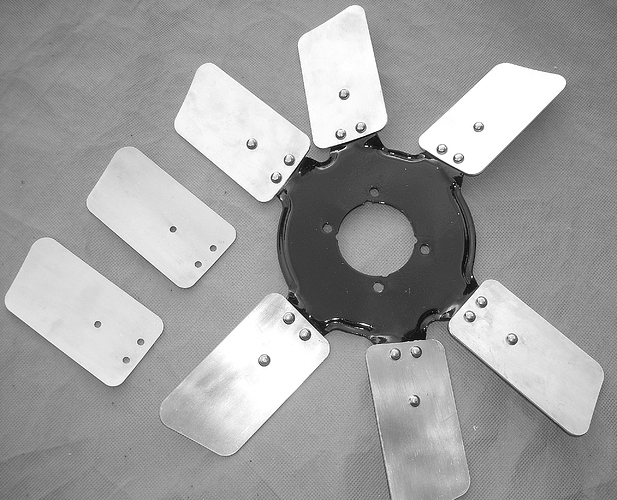 There is a Mark VII XK140 8-blade fan at 16" diameter, all the blades being evenly spaced. I don’t think the exact gauge is critical i the context of metric substitutions. If a car witha new rad core is boiling , it’s obvious there are other issues. Cores and fan blades are important but often it’s just treating symtoms not causes. A serious solution is a rolling road dyno which will pick up timing issues and mixture issues. Then there’s the thermostat and whether the water ways in the block and head are clear. When he put the new rad core in , did he put a ‘sock’ in the top hose to avoid contaminating the new core with old crud? And it occurs to me that we need another controversy to replace jack colours . How about were the blades all bare aluminium and assembled after the centre was painted or were the blades masked off ?half way up?. And as an entirely separate issue, A friend boughta kit of rubbers from SNG Barrat for a MK IV. 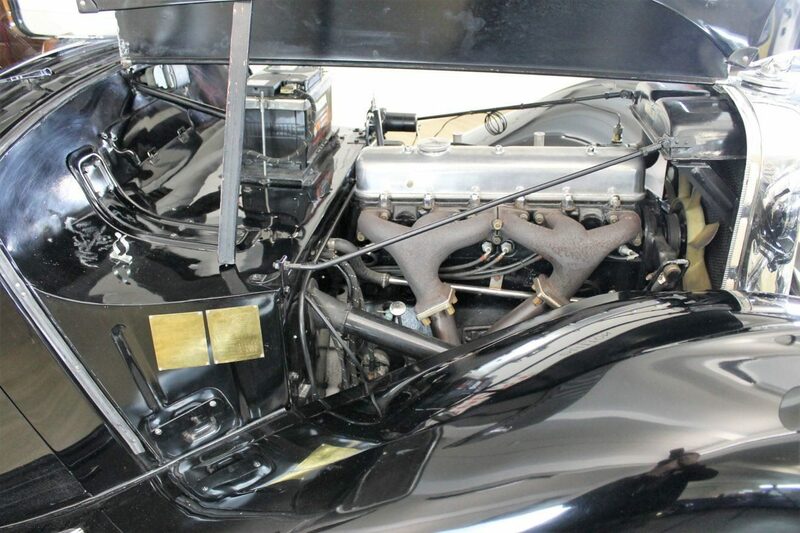 It creatively included a foot dipswitch rubber, and accelerator pedal rubber, Heater hoses of a smaller diameter and trims for along the bottom of the door windows which were plated and rigid so no curvature up at the ends. A friend bought a kit of rubbers from SNG Barratt for a MK IV. Very sensible too! ALL cars should be fitted with foot dip switches instead of this stupid having to drive with your hand constantly close to a manette or in modern times stalk switch for fear of dazzling on-coming vehicles. Interesting, the words “sensible” and the UK headlamp dipping system. Somesay it was invented by the father of the gentleman who propsed Brexit. Now, now Ed, There’s no need to resort to dirty words and bad language. I was wondering whether people still used the solenoid dipping system or just aimed the main beams down a bit and left them on all the time. The foot switch is not too bad in the Mark V, but in the narrow space between the clutch pedal and kick panel in a 120 with your knee caught on the steering wheel it is hard to find in a hurry. Or you could put it where they put it in the C and D types, on the trans tunnel. BION, I have made a study of unpainted vs. half-painted blades. Both methods are seen in old period photos of Mark V engines. Double dipping with solenoids is the only way unless you are prepared to have a totally unfocused beam for main or dip. Take your pick. Dipping would be the wrong direction for me, driving on the right. I think I’ll just aim the lights down and leave them on main setting. If I ever get to drive it after dark. I must confess that I hadn’t considered the LHD issue. If your car had been an exported MkIV then you’d have no problem but as there were no LHD versions of the SS Jaguars it becomes a little more involved. Having said that, the pivoting reflector assembly is symmetrical so all that you need to do is arrange for the positions of the terminal block and solenoid to be swapped over and you would have LHD dipping. Ok and I’ll confess that I had not looked to see if the pivot was symmetrical and reversible. Thanks, Peter. Now reversible fan blades would be another fun topic. Crawler tractors have them as an option. But if you forget and put six going one way and two going the other way the noise is incredible. Guess how I know. I will admit one more confession on my part. The rim that holds the pivots has a locating arrangement to ensure correct tilt in the chrome outer rim. You would need to ignore the current location and rotate the pivot rim to the point of opposite tilt. 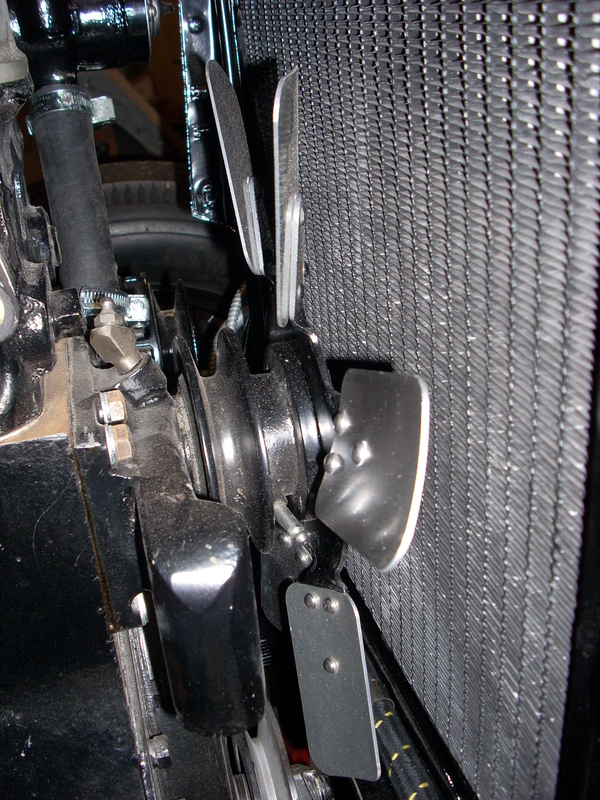 There is no problem in doing this but you might want to add a couple of little bits to the inside of the chrome rim so that the new tilt angle doesn’t get rattled out of position. All could be made easily reversible if your car ever found its way to an RHD location in the future. Thanks Ed and Rob. I will follow up on the laser cutting and may ask for the programme if successful. I need to source the correct rivets before committing to dismantle. I was pleasantly surprised when I dod mine. The rivet diameter in the Mark VII fan I have here is 3/16" but Ed said 5/32" so they may have changed the size at some point. I see they had some sort of rounded tool to mash them down, not just a flat hammer. Probably had a rounded socket for the head to sit in while they mashed them. Still looking for that box of them somewhere in my garage. I notice the Mark VII fan has larger screw holes and lacks the characteristic little bumps in the center hole. I found my left hand headlamp has two sets of mounting holes for the swivel, so I was able to remount it so it dips straight down rather than to the left. That should be ok for the US. Now to look for another solenoid swivel for the right hand lamp. It also has the two sets of holes. Funny that car has been in the US for over 40 years and nobody changed it before now.